Overnight rains had given way to a pleasant morning. The outfield had dried considerably to show no traces of rain though the outfield did slow down. Both teams looked charged up for the game. Both had vested interests. MCC needed to win by 79 or more runs to give themselves a shot at the trophy on net run rate and CITI had to defeat MCC by a similarly huge margin and then hope Wipro would lose by a similarly large margin to give them the title. There was intent in both camps. MCC’s openers Bhargav and Guna seemed to be on the edge and looked to run at everything that eventually cost them the wicket of Bharath in the very first over when Guna called him for a non existent run. Guna and Chetan looked desperate to find the boundaries but Kranthi was up to the task by bowling himself and Srikanth for 7 overs straight. 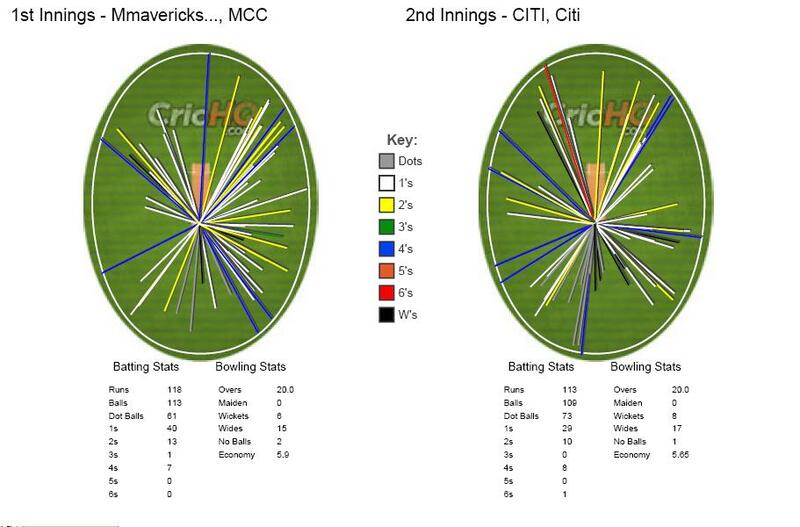 The strain of not being able to break away from CITI’s stranglehold showed on MCC as Guna and then Chethan soon fell. It was evident by now that the wicket was slow and it would take considerable effort and patience to build a score here. 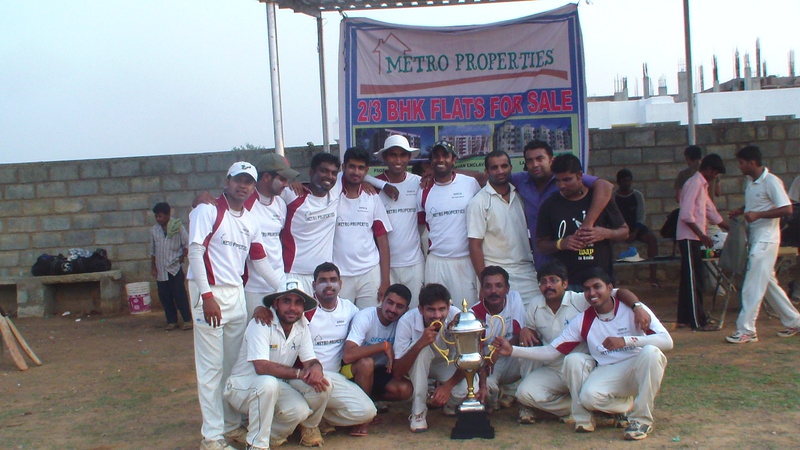 Brothers Prasad and Shankar showed the way by being patient against a very determined and disciplined CITI attack. 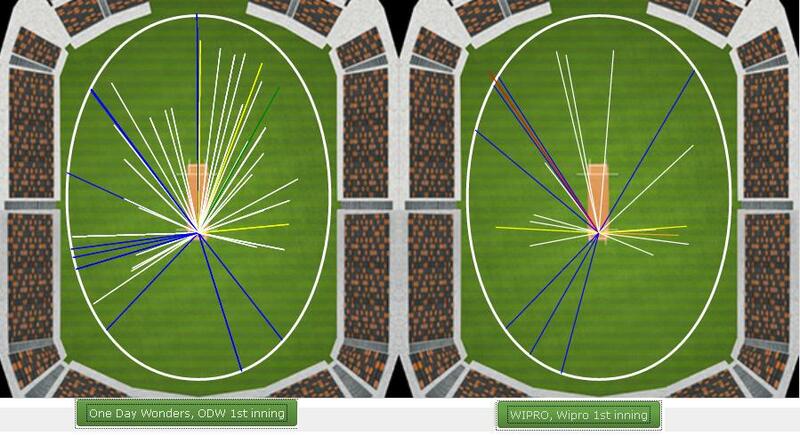 The first boundary of the innings came in the 14th over when Shankar found the fence. He found the fence once more in the over and managed another three to eventually break away from the vice-like grip CITI had on them. The pair put on 60 in 8 overs before Prasad fell trying to up the rate. Venu joined Shankar, who had by now found his feet and timing on this sluggish surface. 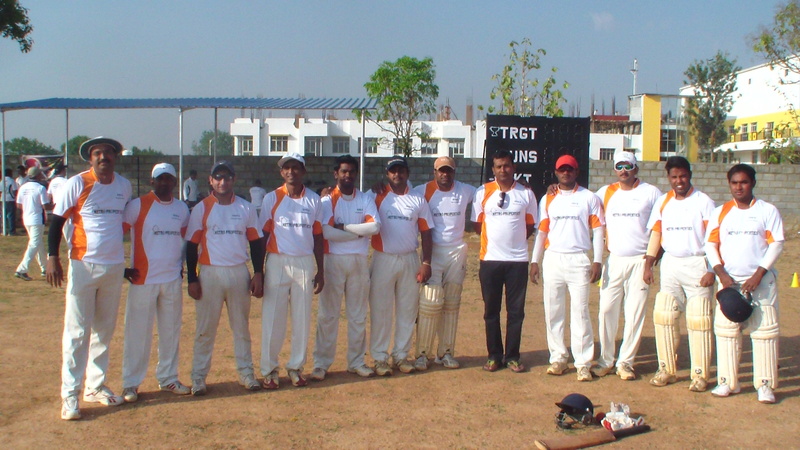 Rehamathullah and Naresh failed to provide the control nor the penetration provided earlier by Srikanth, Kranthi and Niket and Shankar and Venu capitalized with quick runs in the end. A total of 118 in the end seemed a rand recovery from the precarious position of 41/3 at the end of 10 overs. 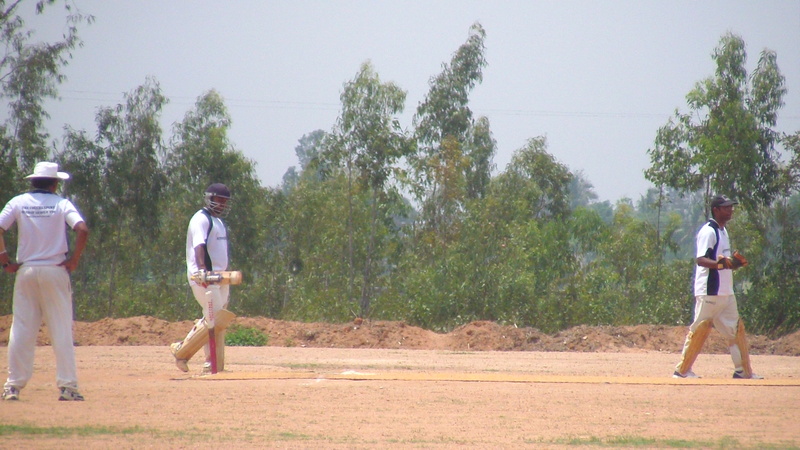 A very determined MCC came out to the field in defending 118. An equally charged up CITI set out to get the runs as quickly as they could. A good contest ensued with Varun looking to go after the bowling and MCC looking to peg the CITI openers on the back foot. The new ball pair of Chethan and Guna complemented each other well as Chethan troubled the right-handers with outswingers from one end and Guna tucking them with inswingers from the other. Niket fell to a low catch in the second slip chasing a swinging ball from Guna. A charged-up Guna sent back captain Kranthi in the same over as MCC used up the windy conditions to their great advantage. Chethan extracted appreciable movement and bounce off the wicket and even hit Vinayak on the head with a vicious bouncer. Varun held fort as CITI kept losing wickets at the other end in regular intervals, but when he was run out in the 12th over, the onus of getting CITI across the line became their finisher Srikanth’s responsibility. With MCC’s death bowling being their strongest point, it set up a good contest. Manish and Srikanth handed much of everything that Vijay and Venu threw at them keeping up with the run rate and threatening to chase down the target. 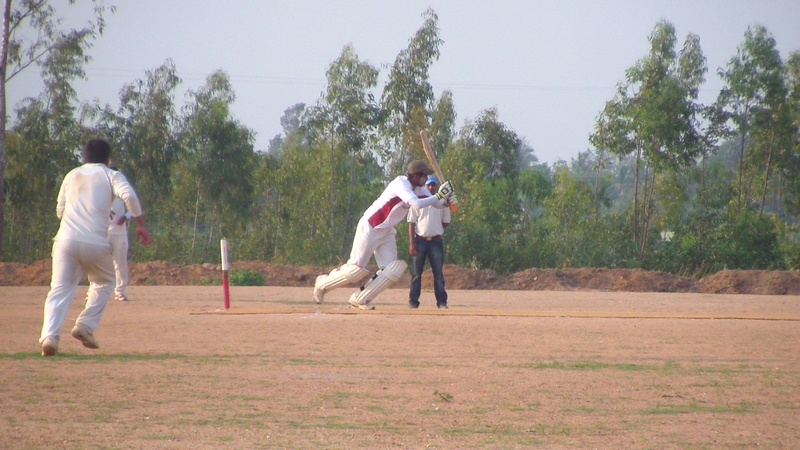 Like in the first innings, the innings gained momentum once a few boundaries were hit. Srikanth found the fence an even cleared it as he rapidly ate away at the target. The fall of Manish in the 18th over slowed things down for CITI as Shakeel failed to put Srikanth back on strike. 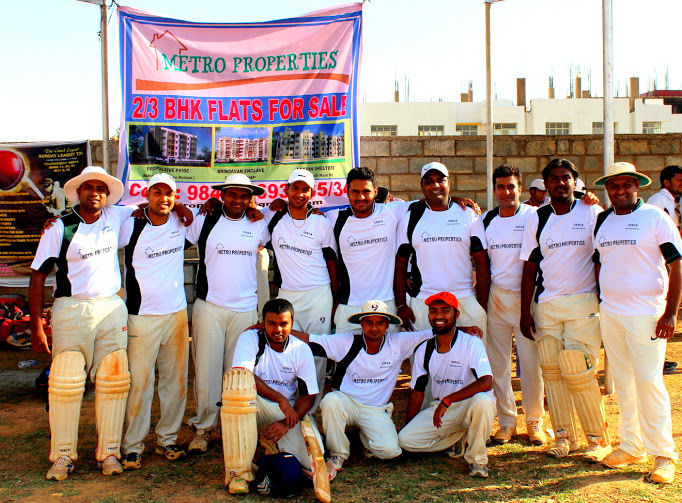 The loss in momentum hurt CITI badly as Guna and Venu bowled tight overs to bowl MCC to a win. With the win, MCC moved to the top of the table and will need Wipro to lose their final game later in the day to give them the trophy. Performer of the Match: Shankar. 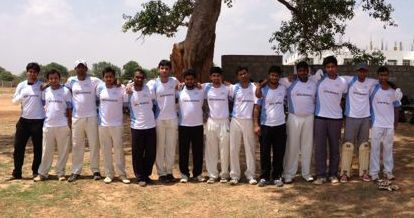 Match Result: MCC defeated CITI by 5 runs. ODW came into the game in the hope to stem the slide post their brilliant first game. The batting has been dodgy and captain Swayam pushed himself to open the innings in an attempt to stabilize the top-order only to be dismissed cheaply. Melvin’s tournament also seemed to be nose-diving after the first two games as he was dismissed cheaply too. 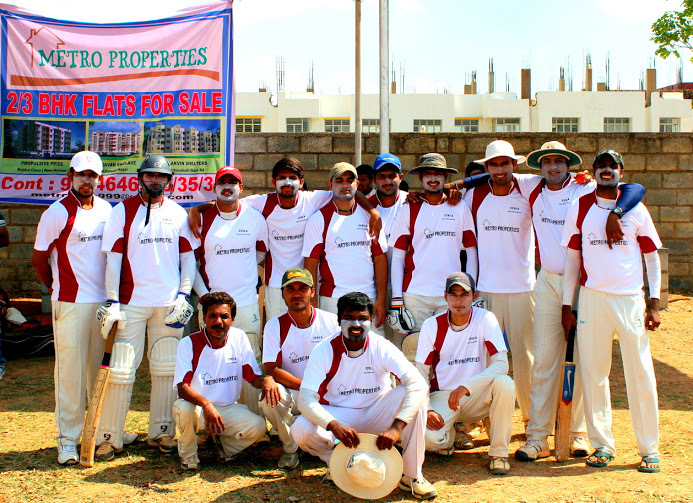 Guna and Vijay kept the scoring in check with brilliant bowling that was ably supported by Venu. Arvind and Jyoti stemmed the rot playing carefully after the loss of initial wickets. 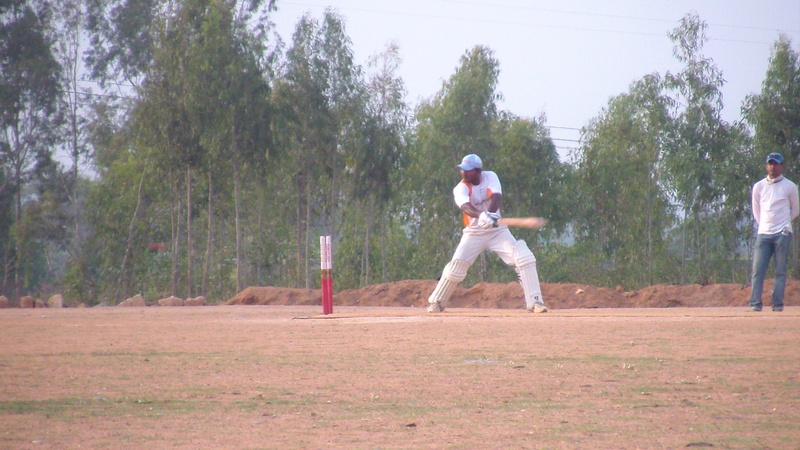 Jyoti seemed to struggle for any fluency initially and a knock to the head seemed to shake him out of bad form as he started to find his range as he looked to cut loose. Just when ODW seemed to have set a base for their lower order to launch an assault the wheels came off and the innings went on a limbo to finish with 125/7 off their 20 0vers. With run rate being a factor, Bhargav and Guna seemed to be keen to get a move on early with Guna particularly being in a hurry. 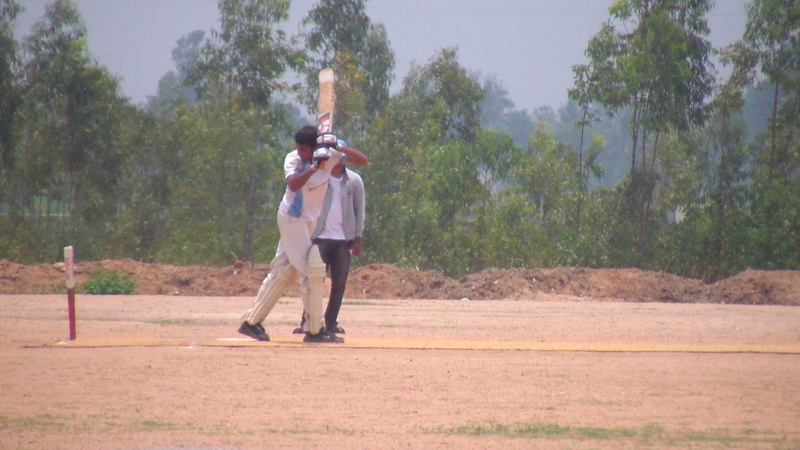 He was slightly unlucky as a powerful drive from him found Swayam in the way who took a tremendous catch. 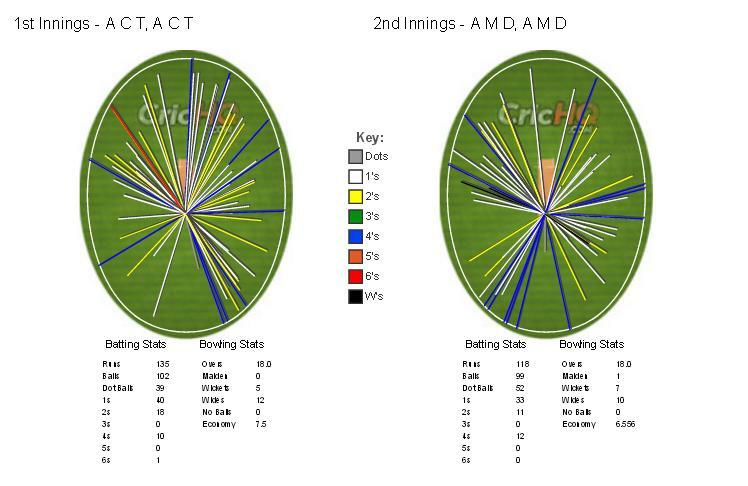 Sambit and Vinod put the lid on the scoring as MCC’s chase lost momentum and at 37 for 1 after 8 overs, the game was in balance. Bhargav and soon Prasad put paid to any hopes of a revival for ODW with a quick 20 runs in the next 2 overs as Jyoti and Swayam failed to back up the good work done by the new ball overs. With Bhargav gone, Shankar joined Prasad and the two seemed to be in tremendous nick as they chipped away at the target with relentless regularity. For the first time all week Prasad seemed to be the only one to have got the hang of the wicket as he found runs by waiting on the ball and finding runs square of the wickets with ease. His 44 and unbeaten 4th wicket partnership with Shankar brought up a comfortable victory for MCC in the 18th over. “The bowlers set up the perfect platform for our batsmen. 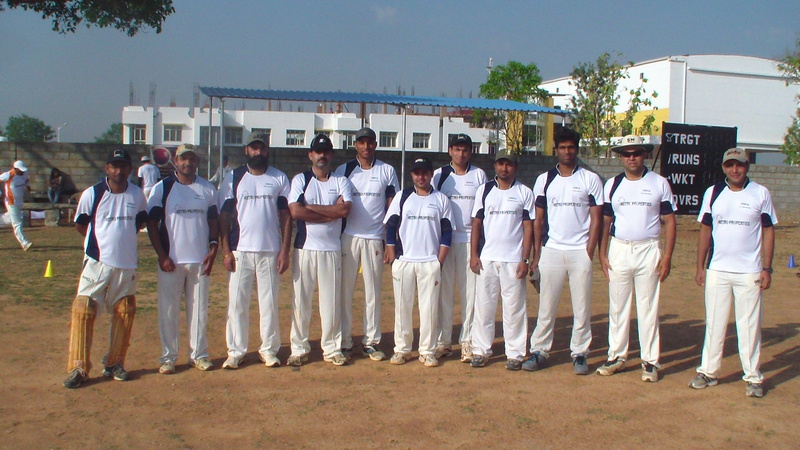 Arun, Vijay and Venu have been brilliant with the ball for us. 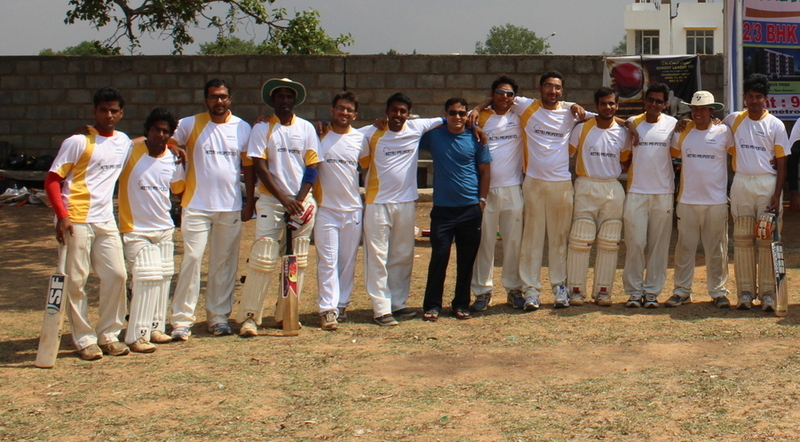 Bhargav, Prasad and Shankar were great with the bat for us. Very happy with the win,” said Guna at the end of the game. Swayam on the other hand rued missing out on another decent start in putting up a decent total. 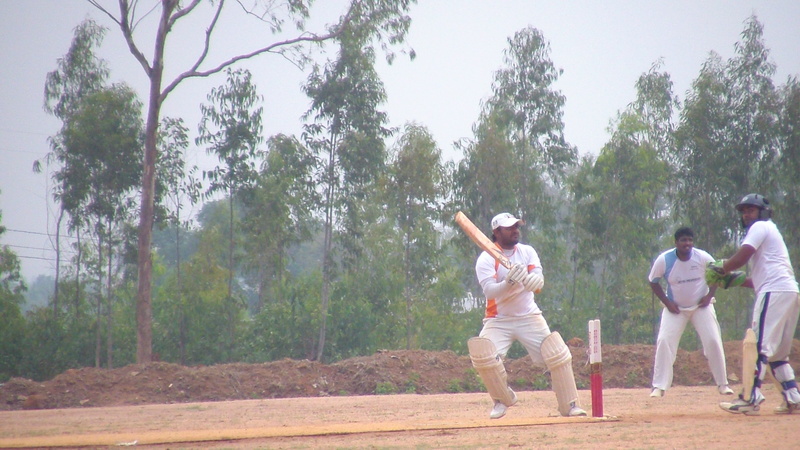 Performer of the Match: Prasad.